Gritty. Disturbing. Dark. Still Life, Microïds’ fabulously grim follow-up to Post Mortem, follows FBI agent Victoria McPherson in modern day Chicago, and her private detective grandfather Gus McPherson (star of the original game) through flashbacks in 1920s Prague. From its stylish cinematics splattered in blood to the gruesome crime scenes to investigate, Still Life immerses players in an adult-themed story of murder, family, seduction, and art, as Gus and Victoria both track down a very similar series of brutal homicides. Atmospheric graphics that paint a disturbing picture of a serial killer who preys on and viciously mutilates lost souls forgotten by society blend with a phenomenal musical score, pumping techno tunes in Chicago and haunting carnival strains in Prague, helping set the game’s richly sinister tone. Both protagonists are impressively fleshed-out: Gus, a man haunted by murders from his past, and Victoria, an agent wearied by the daily horrific grind of a crime-ridden city. Though the settings and storylines are vastly different for each character, the gameplay remains rooted in real-life logic. Enter a crime scene and you’ll simply take note of objects and clues; it’s not until you obtain forensic tools that you’ll fully interact with them. Locking puzzles aren’t just strewn around to draw out play time; you’ll encounter them only when it’s time to secretly infiltrate new areas in your investigation. Logical puzzles, haunting animations, complex characters – what more could you ask for? Well, a sequel from the same talented development team would have been nice. If there’s one major blemish on this otherwise stellar crime thriller, it’s the cliffhanger ending that teases more than it resolves. 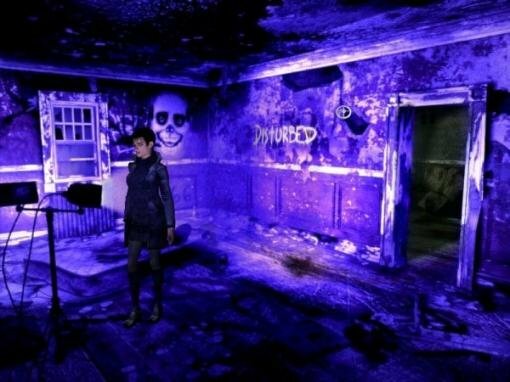 Alas, after the French Canadian studio shut down, a lacklustre follow-up by a different developer showed just how compelling the original was by comparison, superbly managing to breathe life into a story drenched in blood and death. 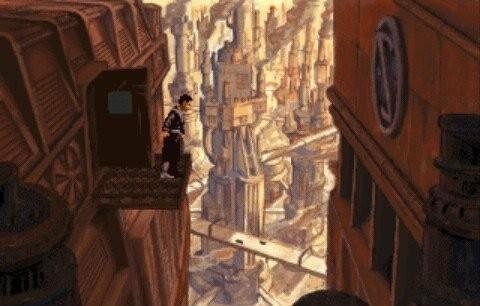 Revolution Software has built its reputation largely on the Broken Sword franchise, so it can be easy to forget the wonderful game that put the company on the adventure roadmap, 1994’s Beneath a Steel Sky. In a dystopian, cyberpunk-flavoured future ruled by computers and corporations, Robert Foster must discover why he has been dragged from his home in the harsh outworlds into Union City, and why the LINC computer that controls the city has apparently saved his life. The story is a remarkable blend of cold, sometimes chilling, science fiction with a brilliantly dry sense of humour – often topped off with a bit of genuine emotion, whether from your robotic sidekick Joey (possibly the best sidekick in the genre’s history) or from the family dynamics that play into the incredibly moving ending. A game of this great size and scope resulted in an arduous and stressful production process for its small developer at the time, but the fruit of their labour is still an enjoyable adventure experience today. The dialogue is uniformly brilliant, the voice acting is top-notch, the art is colourful and vibrant (especially the beautiful introductory comic sequence, drawn by Watchmen creator Dave Gibbons, who also drew the game’s gorgeous backgrounds), and the entire experience feels like a true genre classic. Better yet, the game has been legal freeware since 2003 and is now available in iOS formats as well, ensuring there will never be any excuse for adventure fans not to play this landmark game. Perhaps the game most guaranteed to produce a strong love-or-hate reaction amongst adventure fans, Myst first arrived back in 1993, and has delighted and dumbfounded in equal measures ever since. For many years, this adventure from Cyan Worlds was the best-selling PC game of all time and helped usher in the era of CD-ROMS. Beginning on a surreal island in the role of an unnamed stranger, players are required to unearth four books that link to completely new “Ages” dreamed up by a man named Atrus. But something has gone wrong. Through two other books, Atrus’s two sons claim that their father has been killed, each blaming the other and asking you to retrieve their missing pages and set them free. Which to trust? Only by visiting the other worlds can you hope to piece the true story together. 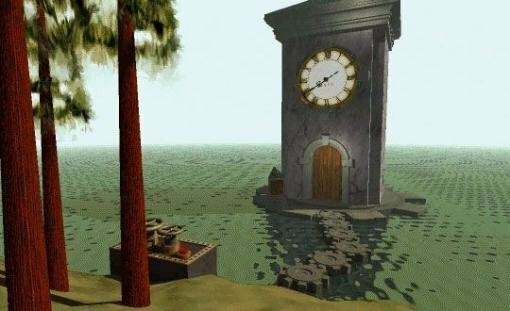 With its simple but effective first-person slideshow presentation, Myst was one of the first games to create a world that not only looked real but felt alive. Its four Ages (and Myst Island itself) provide diverse settings to explore, with virtually no plot or direction pointing the way. Instead, there are a series of logical, interrelated puzzles to complete, with objects and information discovered in one Age sometimes required to solve puzzles in another. Depending on which order you visit the Ages, this makes the puzzles feel either ingenious or frustratingly complex – or both, depending on your perspective. The solitary exploration, non-linear gameplay, and absence of any guiding narrative are what make the experience so divisive, but no matter which side of the fence you’re on, with numerous ports and a proliferation of so-called “Myst clones” over the years, there’s no denying the game’s tremendous impact on the genre. Amanita Design made waves in 2003 with Samorost, a peculiar, minimalistic point-and-click adventure playable for free from a browser. It merely teased of the designers’ enormous potential, however, and we longed with anticipation to see what the indie Czech studio could do with a bigger budget and a full-scale adventure. We finally got our wish in 2009, and Machinarium immediately became both a commercial and critical darling. In a sweetly amusing story conveyed entirely through pictographic thought bubbles and on-screen action (there is no dialogue, written or spoken), a recently-scrapped robot must find his way back into a rusting metallic city to foil the bomb plot of a gang of criminals, win the robo-girl and save the day. Cute anthropomorphic robots are hard to screw up, but they're equally hard to master, yet Amanita has made a masterpiece that’s charming in ways that few other (if any) games can match. 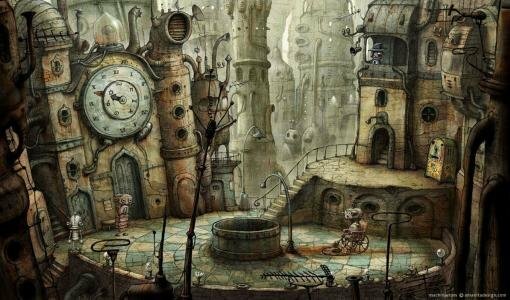 Despite the grungy mechanical backdrop, Machinarium’s beauty is a wonder to behold. Entirely hand-drawn, the game's characters and backgrounds are truly jaw-dropping creations. Every scene is a work of art, its own reward for progression, as each decaying detail in this surreal world is carefully orchestrated and designed, inhabited by a cast of automatons that make it feel like a robot fairy tale awash in a muted colour palette. The gameplay is an ideal marriage of simplicity and complexity, its puzzles often involving manipulating environmental Rube Goldberg-esque contraptions, yet rarely becoming overwhelming or confusing. The brilliantly eclectic soundtrack is a relaxing mélange of minimalist electronic, glitch-pop, ambient, and even the odd bit of folk. Really this is a near-perfect game, succeeding on almost every level, and the sheer amount of polish applied at every stage of the presentation makes Machinarium truly exceptional. When Jane Jensen approached Ken Williams with her ideas for a new adventure, many were skeptical about the chance of success for such a dark, grim tale of guilt, horror and loss. Of course, time proved all doubts wrong, as the first title in the Gabriel Knight series was an instant hit and is now frequently hailed as one of the highlights of the genre’s glory years. Sins of the Fathers introduced the beloved titular character, a down-on-his-luck novelist who owns St. George’s bookshop in the French Quarter, and his assistant Grace, a student spending the summer in New Orleans. Gabriel is plagued by nightmares as he investigates a string of ritual murders supposedly connected with voodoo, and his journey of self-discovery ultimately spans three continents and changes him forever. 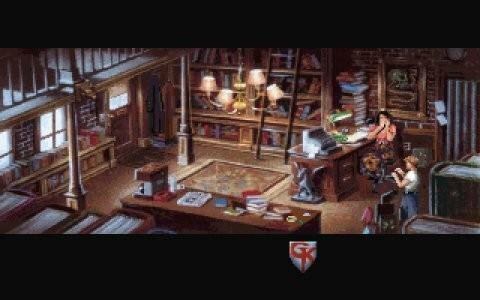 Powered by a slightly more complex version of the SCI engine seen in Sierra’s earlier VGA titles, Sins of the Fathers amazed players with its engrossing storyline that didn't shy away from mature themes. Enriched by a lively supporting cast of fleshed-out characters, some of whom returned in the later series sequels, it's easy to see why the game holds such a special place in the hearts of countless adventurers around the world. The abundantly detailed backgrounds, from the Louisiana swamps to an ancient, tumbledown European castle, are gorgeous even today; the soundtrack by Robert Holmes is both evocative and haunting; and the puzzles are well thought-out and seamlessly integrated with the storyline, making players feel like real occult detectives. Last but certainly not least, the top-notch writing, highlighted by the beautiful poem whose verses open each new day, is among the best ever seen in a computer game. And unlike earlier Sierra games, no unpredictable dead ends mire the flow of the tale, resulting in an experience that is as powerful today as it was in 1993.